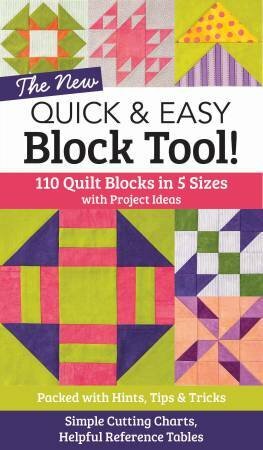 110 quilt blocks in 5 sizes with project ideas. Packed with hints, tips and tricks. Simple cutting charts, helpful reference tables.